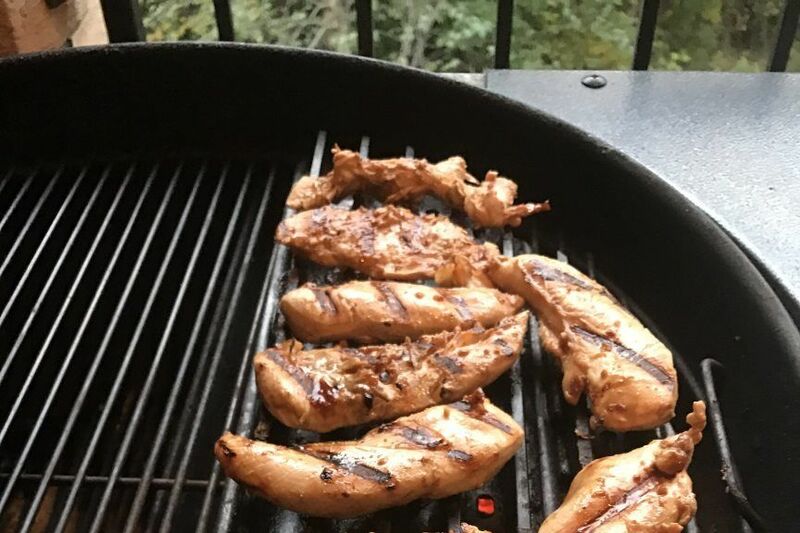 Front-sear or reverse-sear, GrillGrates are our go-to tool for tender and jucy chicken tenders! 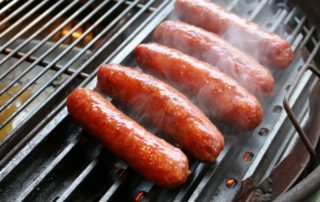 They also are great for steak, brats, and more! 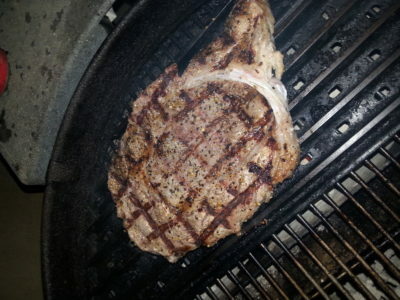 Turn GrillGrates over to create a flat-top searing zone. For quick cooks without flare-ups the flat surface is perfect for front- or end-searing burgers or for thin-cut steak. 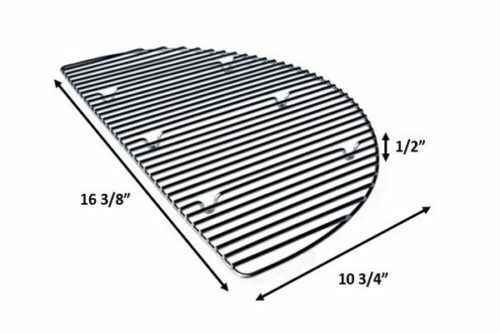 The ventilated design of GrillGrates makes it a perfect tool to help restrict air flow when maintaining smoking temperatures (225 – 250F). 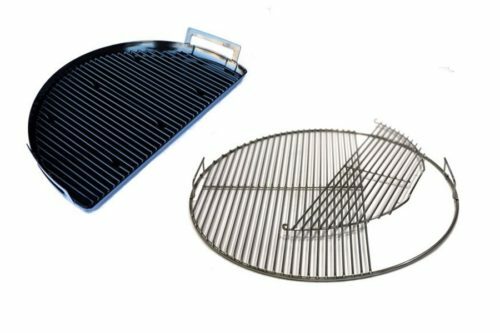 GrillGrates are especially useful when removing the kettle lid, as the Grates reduce the amount of air getting to the coals and helps prevent temperature spikes. I’ve gotten good use out of the grill grate this past grilling season. 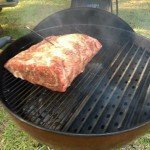 I believe it’s a must have add-on for the Slow n Sear. My grilling skills have improved dramatically thanks to this baby. Perfect grill marks, controlled flare-up, even temp across the grate, great direct/indirect zone control….this things rocks. Do yourself a favor and grab this. Highly recommended! I have not had the time to grill on these yet. 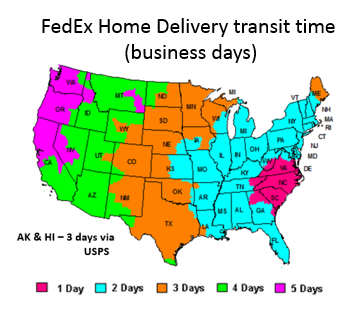 From what I have on video they are a great product. Looking forward to a good steak. *Amazing* addition to my Slow n Sear!! I’m an engineer and computer scientist, and I tend to be somewhat skeptical. My personality also tends to make me slow and methodical in making purchases, so I hemmed and hawed about this purchase before finally pulling the trigger. 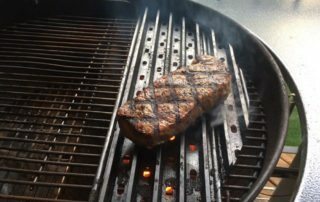 I had been using the Slow n Sear for a while, and it’s revolutionary – I mean, literally incredible in how it transformed my grilling – so I knew these guys are trustworthy and put out only excellent products, so I asked for the custom grill grates for my birthday. Wow! These are truly fantastic! I get no flare ups now, and when I finish up my wings on the grates, they turn out with *crisp*, excellent skin. I first cook them slowly on the other zone, and these things are excellent. And searing steaks and cooking burgers are even better than before! I highly, highly recommend! Wow! 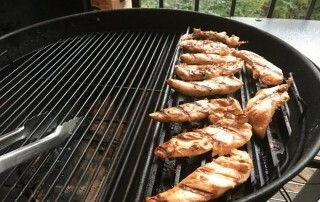 This is just what the Slow N Sear needs for perfectly marked chicken and vegetables. 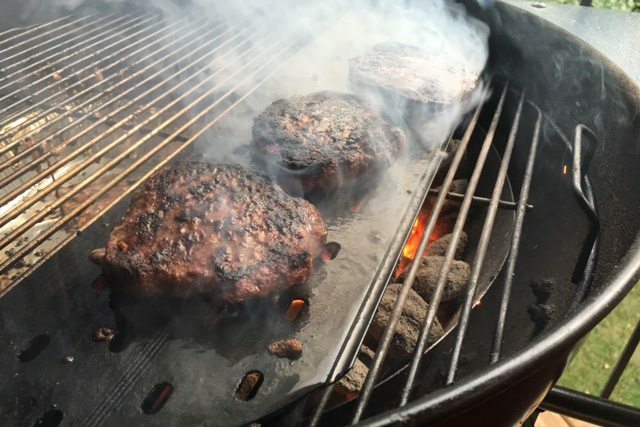 The thick grate provides just the right amount of protection from the searing heat, yet gives great caramelization. The marks look like they came off a restaurant grill. The edges are sharp, so wear gloves. The unit is a breeze to clean. High quality stainless steel. If you grill a lot of vegetables and chicken, this is worth the investment. Good catch. It is anodized aluminum not stainless. And no, aluminum is not “bad for you” as a cooking metal. We use aluminum foil all the time, and most cookware contains aluminum. Aluminum is only an issue with prolonged exposure to acidic foods. Update: This thing has become a regular when using the SlowNSear. I like the larger grill marks that it provides. Plus, the channels direct fat away from the meat. The unit does a nice job in preventing flareups when searing over direct heat. It also serves as a bit of a buffer zone when using a filled SlowNSear. 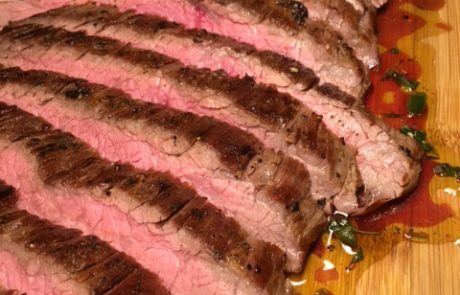 I routinely sear Tri-tip, tenderloin, and pork loin prior to slow cooking on the indirect side. It also handles veggies (zucchini, eggplant, tomatoes, potatoes, onions) nicely. I’m able to grill veggies while the meat is slow cooking with the cover on and get nice marks without burning. Another trick I’ve discovered is to put a single chunk of smoking wood (I prefer apple) on the grate rather than in the coals when you want a touch of smoke in the slow cook cycle. The wood will smoke nicely without igniting, and when you are finished with it, you can easily remove it to a metal pail and continue. 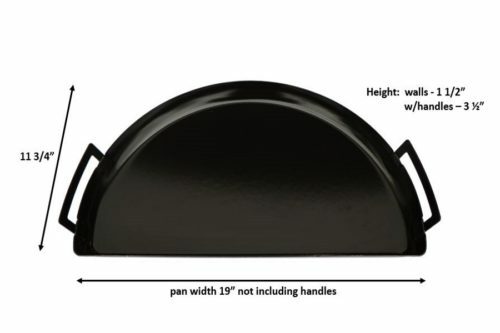 I routinely use the GrillGrate, Drip Pan and SlowNSear together as a unit for almost all my 2-zone grilling. 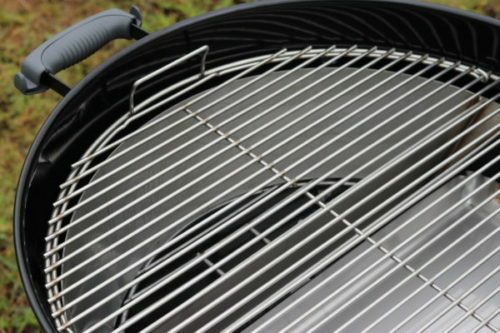 I believe GrillGrates are made from anodized aluminum. 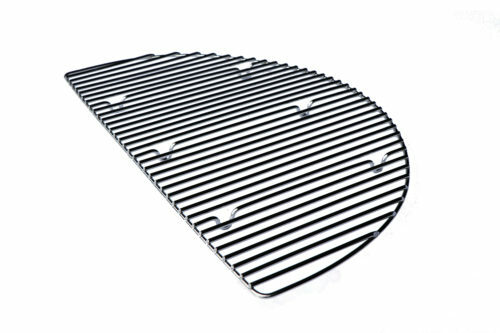 The custom-fit GrillGrates for the Slow N Sear are an absolute must-have accessory. 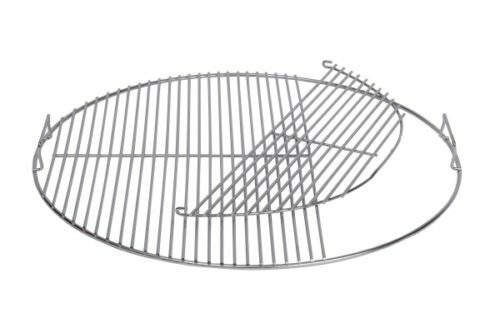 The GrillGrate can be used to provide great sear marks on any vegetable while avoiding the overcooking/burning that is common on normal cooking grates. 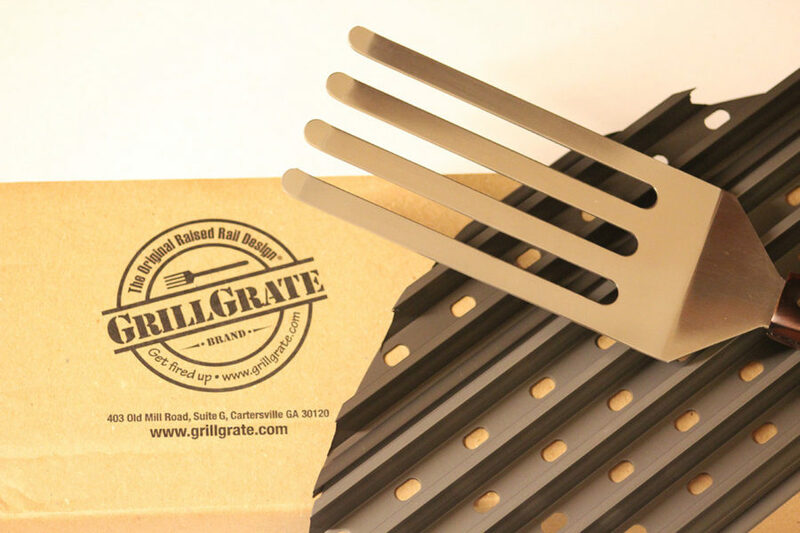 The GrillGrates are fantastic for any delicate food as most types of meat won’t stick. This property is especially useful for fish. 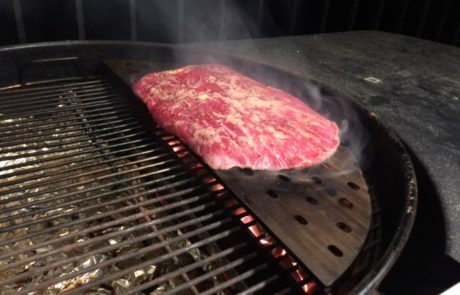 Another fantastic feature of the custom-fit Grillgrates is that you can turn the grate over and use the flat under-surface to develope more crust on burgers, steak, etc. 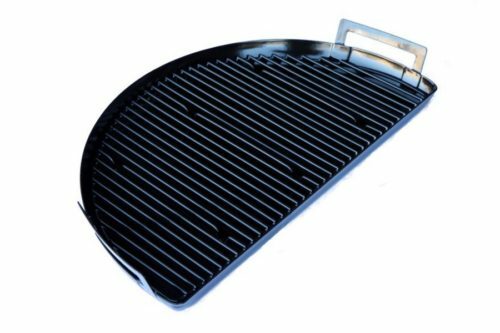 I wholeheartedly recommend the custom-fit GrillGrates to any grilling enthusiast.